The unchanging drought situation in the Southern half of California has brought back the nightmare of dust-bowl conditions. At a recent presentation by the Association of California Water Agencies, climatologist Michael Anderson described the current situation in dire terms, saying, “You’re looking at numbers on par with what was the Dust Bowl.” California farmers have seen loses of more that $1.5 billion dollars due to lack of water, according to the L.A. Times. 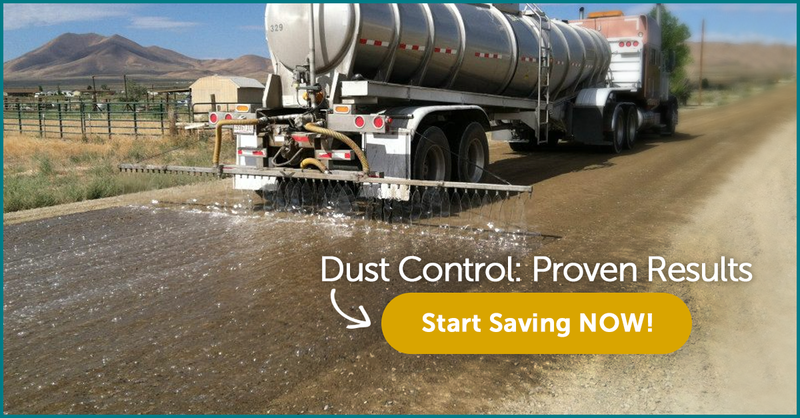 Whether you operate a landfill, mine, or farm, you know that dust control is an ongoing problem that needs a better (and more cost-effective) solution than just water – especially during the drought conditions affecting many parts of the country. Because of the ongoing, and sometimes severe, drought conditions affecting many areas of the country, farmers are faced with learning new strategies to save water and reduce dependence on fertilizers. In many cases, the technologies they are turning to now have actually been available for many years but weren’t considered cost effective until farmers faced losing their crops to drought. 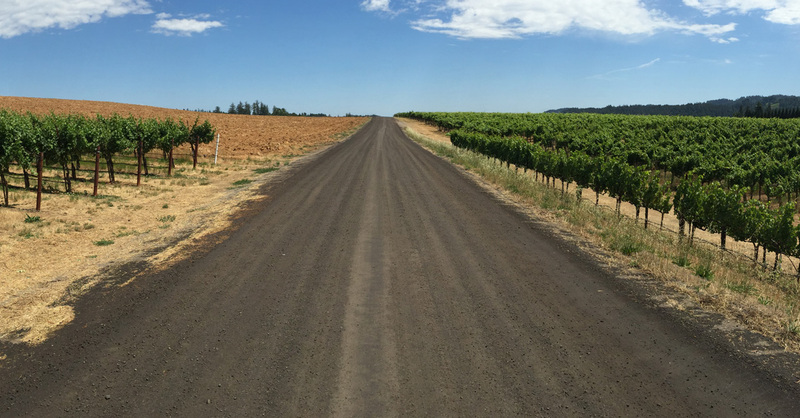 Nearly one-half of the estimated four million roads in the U.S. are unpaved; the reasons why range from lack of usage to the costs involved. One thing is certain: unpaved roads produce dust and lots of it as you already know. 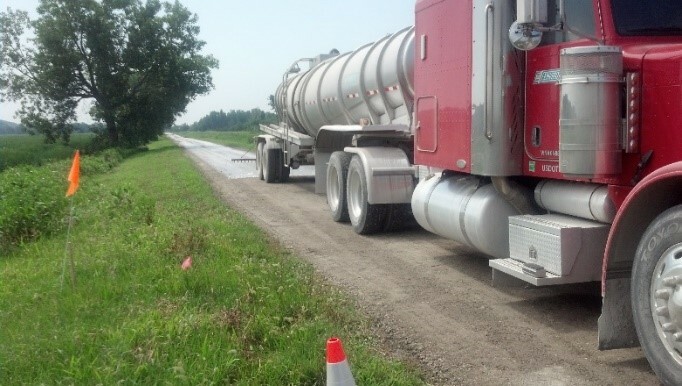 Those charged with dust control on such roads are always looking for efficient and cost-effective solutions. There are a number of products for each unique situation. 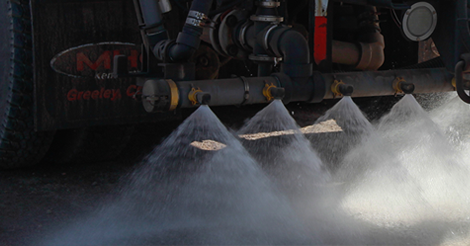 When seeking a low-chloride solution for dust control, consider BaseBind®, EnviroTech’s proprietary binder that stabilizes the road surface. Creating a barrier that resists evaporation of water, it rejuvenates itself by absorbing water from beneath. It requires a lot less chlorides because the binder holds moisture – preventing evaporation. BaseBind® is gentler to the soil and a better choice for roads in any sensitive area such as orchards, croplands, forests, protected wetlands and other ecologically sensitive environments. 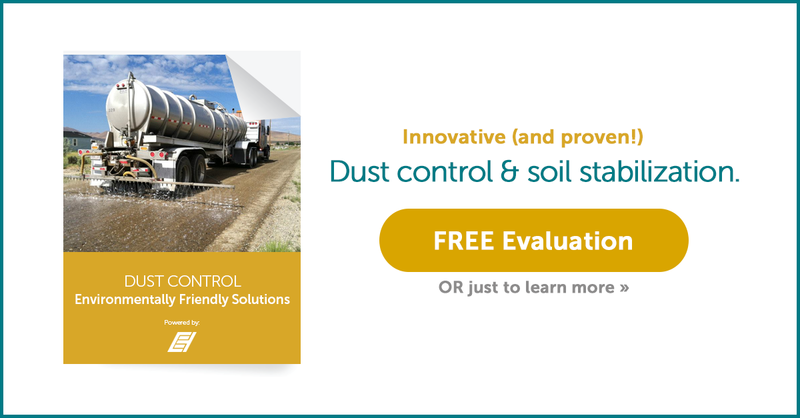 Whether you are a farmer, miner, or landfill manager, the two most important keys to successful dust control are finding a product that is tailored to address your needs, and to make sure you are using it in the most effective manner. The manager of the Larimer County Landfill, on the outskirts of Ft. Collins, Colorado, was looking for a method that would control the dust problem on the landfill's roads while reducing the drain on the city's water supply. 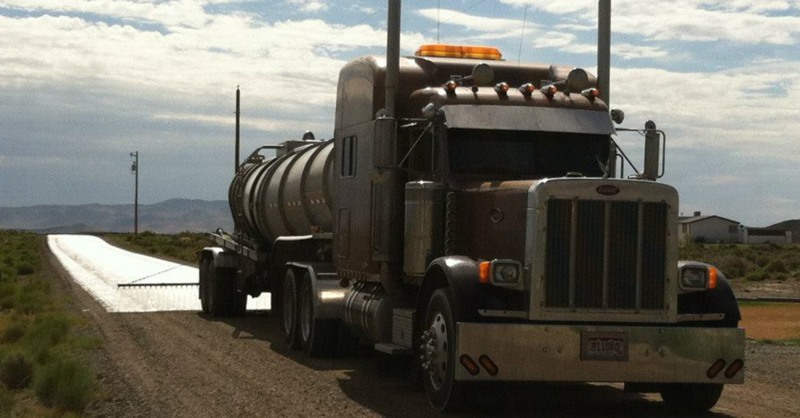 The only dust-reduction in use at the time was plain water at an application rate of four to six truckloads per day, six days per week for a total of approximately 126,000 gallons per week. He consulted with EnviroTech Services Inc. and decided to implement their recommended plan of using X-Hesion Pro® (XPro).